While back by Novermber 2018, we heard of a collaboration between Kaspersky lab (know by their anti-virus software) and Bumblebee. By that time, it was not clear what it was about, only that it seemed to be focused on the Russian market. 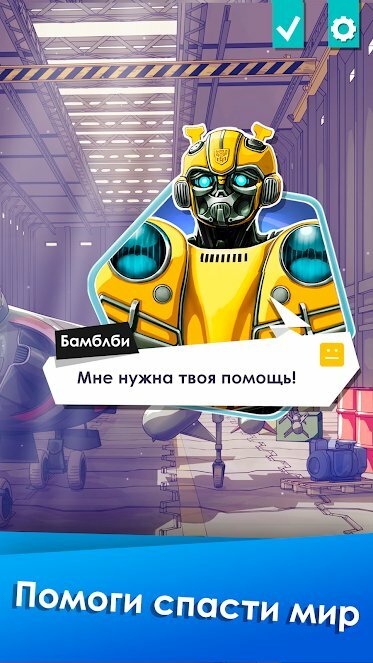 Now, courtesy of 2005 Boards member, we can share for you images and details about the*Transformers: Bumblebee Defender Mobile Game By Karspersky Lab. It’s*a simple but entertaining role-game where you play as a teenage boy/girl who has just moved with their family to a small town, where Blitzwing and other Decepticons have landed and even spotted by &#187; Continue Reading. The post Transformers: Bumblebee Defender Mobile Game By Karspersky Lab appeared first on Transformer World 2005 - TFW2005.COM.